I used Eden Park Installations to replace windows across my entire house. The quote was one of the best I received and the installation was quick, clean and the windows look great. They are excellent quality and were fitted really well with little disruption to the decor inside the house. Great service from a friendly, local company. Would definitely recommend! The house is so much warmer and secure now. I am so pleased with my new windows and front door. They have given the house a new lease of life as well as extra warmth. I got an excellent and personal service from a friendly and professional company. Highly recommended. Eden Park Installations has now done work for me in two houses. I cannot fault the worksmanship, professionalism and friendliness of the team. Delighted every time. Thank you. 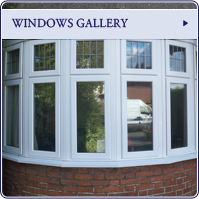 A family run double glazing business that has been involved in the window industry since 1987. We are based in Beckenham, Kent and have built our client base on recommendations from existing clients and their friends and families. There is no high pressure selling as all enquires are carried out by ourselves along with the surveying and installations. We offer impartial advice on the product best suited to your property. The areas we cover are mainly Beckenham, Bromley, West Wickham, Croydon and Orpington but we also install across other parts of Kent and South East London. 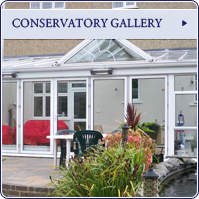 All our conservatories are of bespoke design and are created using a specialist conservatory design software that lets you create the perfect sun lounge for you’re home. In most cases planning permission isn’t necessary for domestic conservatories but a phone call to the local planning officer should ascertain if buildings regulations are required. We offer a wide range in replacement windows that can be supplied and fitted in UPVC, Aluminium and Timber that can be supplied in various and colours and coatings to suit you’re home. All the windows we fit have an energy grading of A down to C that comply to the standards set out by the BCRF (British Fenestration Ratings Council) with C being the minimum recommended by the energy savings trust, that are designed to reduce heating bills and provide noise reduction. 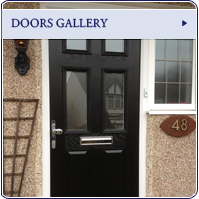 We offer a wide range of doors for your home that also can be supplied in UPVC, Aluminium and Timber and also the very popular composite range, more often used for entrance doors also available in a wide range of styles and colours. A choice of finishes are available for all door furniture that range from white as standard chrome, black gold and if preferred and colour that you may require from the RAL colour range.